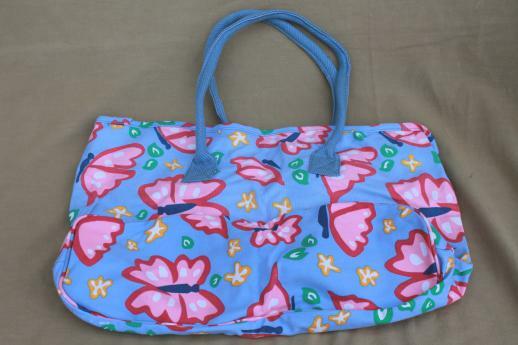 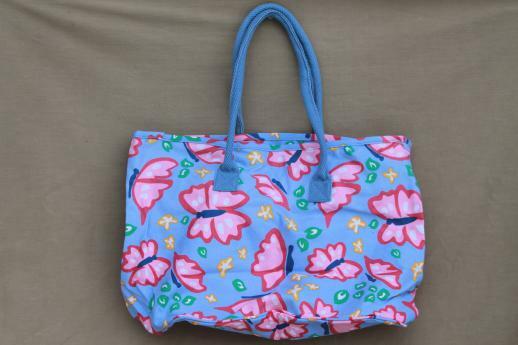 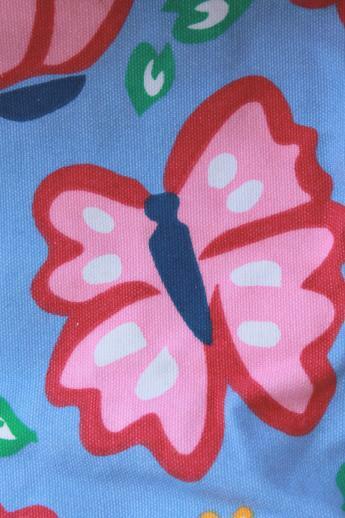 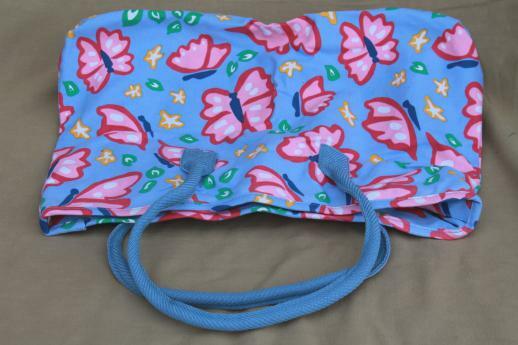 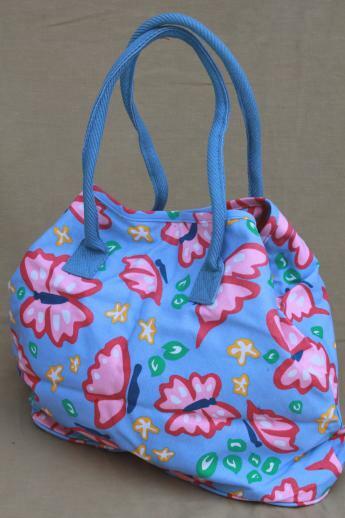 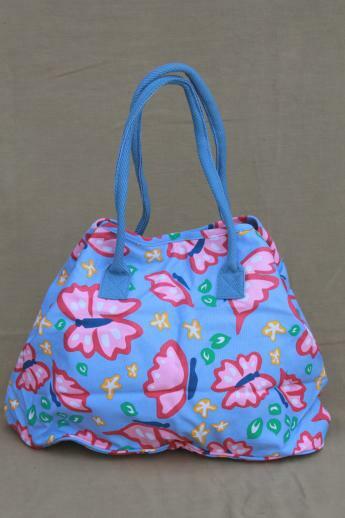 Unused 1990s vintage Avon cotton print Flight of Summer tote bag with bright butterflies print! 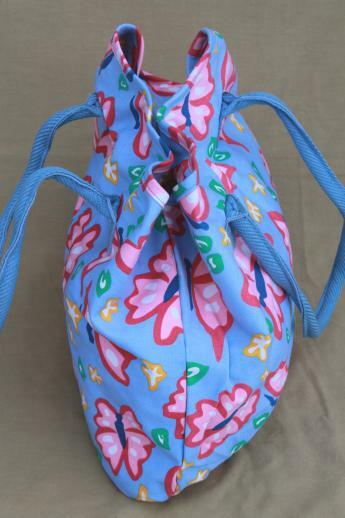 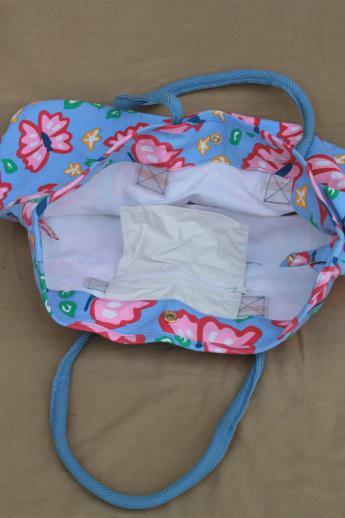 This measures 18" wide x 21" long from the top of the handles down (bag itself is 13" deep). 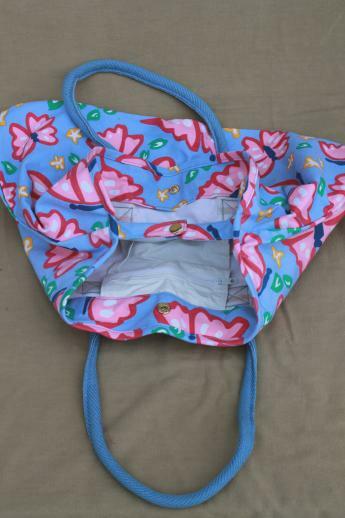 It's in excellent condition.